I love this advert by Danish television station TV 2. It makes me cry every time I watch it. Maybe there’s more that brings us together than we think. How true this is, not just for Danish people but for people across the Scotland, across the UK, Europe, the world. 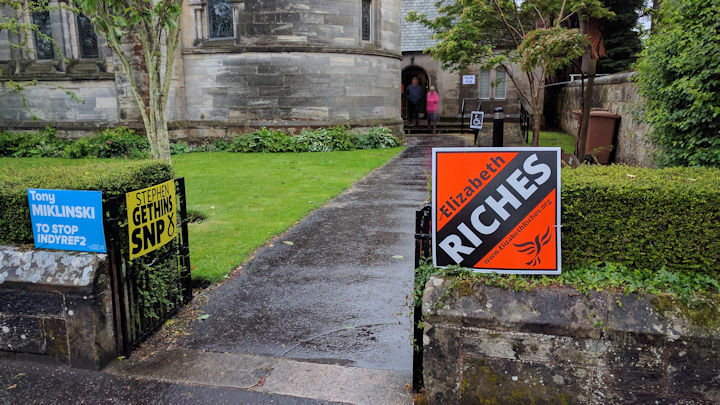 This afternoon I exercised my democratic right to vote; the first time I’ve voted in St Andrews since I was a student here in the early 90s. I pray that the country votes with compassion, for a fairer future, to include and enable more people within society. Austerity simply doesn’t work. It has been cruel, particularly on those who are impoverished or disabled. I guess a lot of it comes down to what you see the role of government being. For me, it’s not to punish those less fortunate than ourselves; it’s not to normalise poverty and deprivation; it’s not to make the country a less secure place (in all meanings of the word); and it’s not to make the wealthiest few percent of the population even richer, which is what has happened under the Conservative government. It is the task of the strong to lift up the weak, not crush them. There is a lot of uncertainty in the world just now, a lot of fear, a lot of parochialism. We live now in a world that is more connected than it has ever been. I can communicate in real-time with people on the other side of the planet. Through social media I can find out the news, as it is happening, hundreds and thousands of miles away, before the mainstream media channels have distilled it, filtered it, and reflected it. That we are so connected presents new challenges and new opportunities. As a society, I would like us to embrace these opportunities—find ways for us to work together and collaborate on this tiny planet of ours, not close our metaphorical doors, pull up the drawbridge and believe that we have everything we need to look after ourselves, thank you very much. We don’t. We are connected. That’s one reason that I still feel so upset about Brexit—it is shortsighted, it is an insular approach, and a complete and utter waste of time and money. Anyway… I voted. I didn’t have the opportunity to to write anything more than an X. I just have to wait in hope, and trust in the wisdom of crowds. Honestly UK, you just had one job: get the Tories out of Downing St. Five more years of punishing the most vulnerable in our society. As the result trickles in this morning and the political map of the UK begins to look like Maggie Simpson and that the Conservatives are likely to remain in government, I have had this song from Warrior Soul’s debut album Last Decade Dead Century (1990) going around my head. 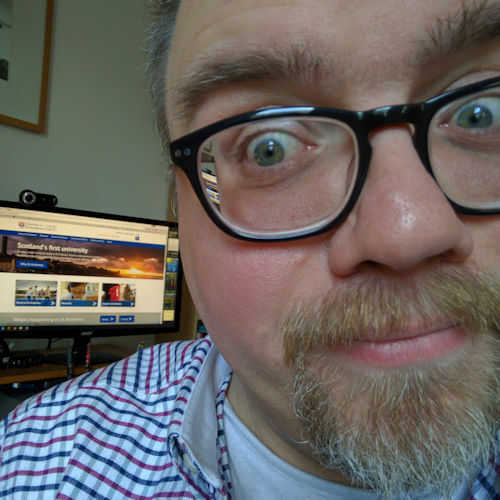 I love Jeffrey Zeldman’s tweet from November 2007 “If you don’t write, you don’t know what you think.” Over the last few weeks I’ve written bits and pieces for myself to capture and clarify my thoughts on the Scottish independence referendum, which we go to the polls tomorrow to vote on. I wanted to capture something on my blog about my current feelings about it the night before the vote. Back in February I wrote a blog post called Words and Scotland’s future in which I challenged myself to “listen more, understand what others think and feel and fear […] and to be on the lookout for the reality behind the labels”. It had been my intention to write more about my thoughts during the last seven months but family life and work got quite intense, and then in July I came down with viral meningitis and I’ve spent the last eight weeks trying to recover from that. There was a moment in my hospital bed in early August, while I was coming to terms with the possibility that I may have had a brain haemorrhage (I hadn’t it turned out), that I had a sudden panic that I may not be well enough to vote on 18 September. 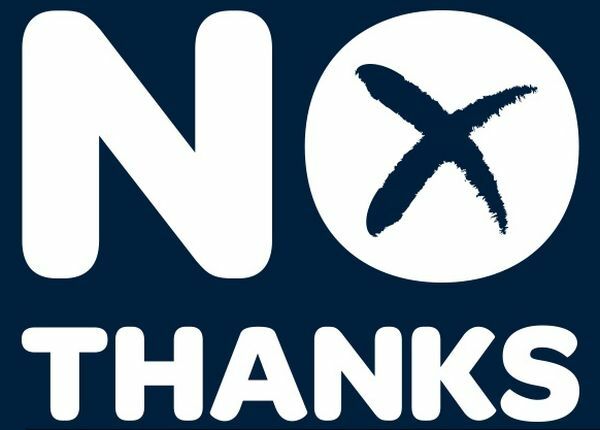 Thankfully, though, here I am and tomorrow I will be voting ‘no’; I will be indicating that I want to keep Scotland within the United Kingdom. whereas Margaret Thatcher united our nation in opposition to her politics, Salmond has divided our nation in a way she never managed. I have seen families and friends split, I have seen video clips online and listened to friends tell of campaigners on both sides of the debate assault one another. I have read what friends with opposing views have written on one another’s Facebook walls. Much of it has been amicable and respectful, some of it has not. There has been a level of animosity and intimidation that I have found very, very sad. In that article in The Guardian Douglas Alexander argued that “Scotland’s yes campaign has been based on emotion, not fact”. To my eyes the yes campaign seems to be creating barriers and problems where there are none. I have heard nothing argued that cannot be equally applied to any other part of these incredible British isles. In an increasingly globalised world where connections and interdependence are drawing people together to create amazing things like new technology and software, international movements to reform money creation, or social justice and medical breakthroughs through shared research I want to live in a society that is open to collaboration. The wisdom of crowds and all that. I want interdependence rather than independence. I believe that interdependence is a more mature and modern way to live. When you are a baby you are dependent, as you reach your teenager years you become independent, but as you reach adulthood you realise the value of interdependence. I get the value of local knowledge and local circumstances. I don’t believe that the current political infrastructure has got it right. But I don’t believe that separation from the rest of the UK is the answer. Why knock down the whole house when you just need an extension and to rearrange a few rooms? Diversity of opinion—each person should have private information even if it’s just an eccentric interpretation of the known facts. Individual judgment—people’s opinions aren’t determined by the opinions of those around them. Decentralization—”power doesn’t fully reside in one central location, and many of the important decisions are made by individuals based on their own local and specific knowledge rather than by an omniscient or farseeing planner.” (p. 70–71). Aggregation—some mechanism is required to turn these private judgments into a collective decision. I believe that Scotland is better off as part of a wider crowd within the UK. England, Wales and Northern Ireland offer perspectives that we cannot see because we are so close to the key questions. I think this is a good thing. Together with the other three UK nations Scotland has created some amazing achievements. Our global reach has been amazing, far beyond what this size of island in the North Atlantic should achieve. We’ve done that as a part of the United Kingdom. We have been dependent on the support of the other three nations, and they have been dependent on us too. I don’t want to spend the next ten years or more looking inward and struggling to set up and stabilise a new infrastructure and economy. We already have one. Sure it’s not ideal, there are areas that could be improved but I don’t buy the idea that if we go it alone then we will get it right, that we are somehow superior simply because we are Scottish; that the only way to achieve this is to overthrow our English overlords—that’s not how I see our relationship. I don’t buy into the idea that we are any different to those in the rest of the UK. I have worked amongst homeless young people in London and they are no different to those on the streets in Edinburgh. I know, while I was living in Edinburgh I sat on the pavements with them and listened. The poor in Sunderland are relying on food banks as much as those in Sutherland. That has to stop in both places and with our shared vision and compassion we can make it happen. The border—that imaginary line that stretches from just north of Newcastle-upon-Tyne to just north of Carlisle—has absolutely nothing to do with it. But Salmond’s rhetoric will try to make you believe that it is. Sure there is a Scottish identity but it’s not a single one. The culture of the Scottish Borders is different to that in Strathclyde or Aberdeen or the Western Isles or Shetland. There is no single Scotland. Let’s work within the existing system and improve it gradually for everyone in our society. Scottish people have a great track record of doing that within the UK already. Let’s not throw out the baby with the bathwater simply because we didn’t get the government we wanted at the last general election. That’s very short sighted. Because guess what, neither did the rest of the UK, and neither did I at the last Scottish Parliament election! That’s just how representational democracy works. I love the relationship we have with the rest of the UK. I love that we do have our own identity but that we work together to try to improve life on these islands for everyone. If the Yes campaign’s figures are correct and we could become richer than the rest of the UK and in the top 20 countries globally, I genuinely feel that we would still be significantly poorer emotionally and psychologically for turning our backs on our neighbours in the rest of the UK. My second reason is to do with risk. For me the risk of independence is too high despite the repeated assertions from the Yes campaign that ‘we can do it’. But this, for me, isn’t about confidence, or a lack of confidence. It may be about a lack of solid information, if I’m honest. For the last few months I’ve heard “Yes!” But yes to what? We are being asked should Scotland become an independent country; we are being asked to trust a new vision of what Scotland can be (more about that in a minute) but I don’t feel that the vision has been fully spelt out, except in the vaguest of terms with people’s imaginations being left to fill in the gaps. It is nothing if not enthusiastic and optimistic. A “fairer, equal and more democratic society” sounds attractive but without detail it’s just yet another empty wish. As Ewan Morrison writes, “Yes means too many things and ends up meaning nothing”. I will not vote for a vague feeling of optimism. I want to vote for something that I have either a suitable degree of certainty in, or at the very least in leaders that I trust will take us forward to a better place. Unfortunately I’ve seen neither from the Yes campaign. I know what we currently have, I know that it’s not perfect but I know what we have: we still have the pound, we have the NHS (overseen by a devolved parliament), we have EU membership, we have the military security of British armed forces. In Scotland we already have our own very successful education system, we have our own legal system, our own national church. We have these already. So what more is being offered, and what more is being asked for? Yesterday morning I heard Nicola Sturgeon on the radio saying that the only way to guarantee more powers for Scotland is to vote for independence. Which got me thinking exactly which powers? It’s easy to say that we need more powers, it implies that Scotland is powerless, which is far from the truth. I suspect that most people in Scotland don’t know exactly what the Scottish Parliament oversees and what Westminster or the EU is responsible for; I don’t. So I looked it up on the Scottish Government’s website: according to them, exactly which powers do we need? It says that the last proposal for new powers for the Scottish Parliament was in 2009. Not everything proposed was accepted by Westminster but it did result in the Scotland Act 2012. Fair enough, but isn’t that how the democratic process works? Of course, it doesn’t say support from whom, but if those are the powers that are being asked for then surely that can be negotiated. Why do we need to reject EVERYTHING else when all that’s required is to negotiate for more responsibility for taxation and the welfare system? The website continues, “whatever offers of more devolution MIGHT emerge during the referendum campaign, they are LIKELY to fall short of full powers in these vital areas of Scottish life” (my emphases). First, these areas are not unique to Scottish life, they apply equally to English, Welsh or Northern Irish life too. We’re not the only people who want to improve these areas of life. Second, I’ve highlighted ‘might’ and ‘likely’. There is strong willingness from the major UK parties to negotiate what Scotland needs, which of course might have a knock on effect to the rest of the UK and benefit many more than just our 5 million. Modern life is complicated, the world is changing, so let’s roll with the changes, not bin everything and start again. For me, what those supporting independence are offering is not enough. They have avoided giving definite answers, they’ve not had the courage where appropriate to say they don’t know, or that yes it will be tough to start with. To be honest, they have given the appearance that they are still making it up as they go along, saying anything to get the win. Promising the earth (or the oil or the pound or membership of the EU) when these are not really theirs to give. Negotiation isn’t one way. I would have had much more respect for the yes campaign if it had actually been promoting a picture of true independence, rather than this watered down hybrid. I wouldn’t have voted for it, but at least I would have had more respect for what they are offering. Currently they appear to want to be like the UK but not be in the UK. Everything will change but nothing will. We will be a more fair and prosperous nation by using sterling without a currency union, reneging our portion of the national debt, destroying our credit rating, tying our financial security to the central bank of another country, and we haven’t even told you that we’ll need tens of billions as reserves, or that all money is debt anyway and this system of money creation heavily favours the rich getting richer and the poor getting poorer without even changing a thing. For me that’s enough. I simply won’t accept this level of risk. Lastly, if I was to vote Yes then it would mean that either I had confidence in the plan set before me to take our country into a prosperous and fairer future (and I certainly don’t see anything like that, other than hope and a can-do attitude) or that I had faith in the Yes campaign leaders to lead us there. And I don’t have that either. For all the talk of creating a “fairer, equal and more democratic society” I don’t see that being demonstrated by the Yes campaign’s leadership. I don’t see Alex Salmond, for example, showing us what it means to be a statesman within a society that is fairer, more equal, and more democratic. At times I have felt ashamed to be Scottish during this prolonged process. Salmond claimed victory over Darling during the last televised debate. I didn’t see it that way. I saw a bully, a street fighter, and one of the rudest displays I have ever seen in British politics. Salmond shouted Darling down, badgered him with the same endless questions but he didn’t listen. Great leaders sell us the why, great leaders inspire by their behaviour, by their example. Well Salmond didn’t inspire me. If his was an example of the kind of inclusive, just and caring society that the nationalists are promoting then I want nothing to do with that. Salmond missed an opportunity to demonstrate the values he claims to want for Scotland. He missed an opportunity to practice what he preaches. He missed an opportunity to build a case, with honesty and integrity, and genuinely inspire people. Instead he went in for cheap, sensationalist punches aimed to belittle and intimidate Darling. I admired Darling for keeping his cool, to be honest. But I was disappointed, sorely disappointed. However, it didn’t stop with Darling. I’ve been appalled at how journalists have been treated: bullied, intimidated, attempting to silence them. Duncan Stephen outlines this very clearly on his blog in a post called “A dark vision of democracy”. attacking the enemy and creating an impenetrable shell to protect the unquestionable entity. In its place was a kind of shopping list of desires that was being added to daily. So there was: Get rid of Trident, raise the minimum wage, lower corporation tax, promote gay and lesbian rights, create a world leading Green economy, exploit oil to the full and become a world leading petro-chemical economy, nationalise the banks, nationalise BP, be more attractive to foreign investment. The shopping list of ‘positive’ ideal goals could never tally up, the desires of the Yessers were incompatible and contradicted each other, but to raise this was seen as being ‘negative’. Every kind of Yes had to be included, and this meant there could be no debate. Instead there was a kind of self-censorship and conformism. The Yes camp had turned itself into a recruitment machine which had to silence dissent and differences between the many clashing interest groups under its banner. This was what YES had started to mean – it meant YES to everything – everything is possible – so don’t question anything. There is much more that I wish I had had the chance to blog about over the last few months, and think through and explore, and to give an opportunity for comment and to listen more. But as it is these last six months have been some of the hardest and darkest of my life. I am thankful to be alive. I am thankful to be able to vote.. I just wish I didn’t have to take part in something that has been so divisive and upsetting for so many people. I don’t want Scotland to leave the United Kingdom. I am Scottish and British; I am British and Scottish. Tomorrow I will be voting with conviction and integrity, I will be voting having listened as much as I can, and thought through the issues myself and weighed up where I believe our country should be headed. I don’t think you can ask for much more in a democratic process. Whatever the result it looks like it will be close. That will be difficult. It will leave a certainly half of the country feeling battered and let down. I know of some people who plan to leave Scotland should the end result be in favour of independence. I know a lot of people who have talked about it with their families. I have. Whatever the result on Friday morning there will be need for a lot of listening, a lot of understanding, a lot of gentleness, a lot of faith. I hope we’re up to it as a nation. I’m generally an optimist, a glass half full kind of guy. But tonight, if I’m honest, I am fearful. After the Scottish independence referendum on Thursday 18 September I want to take the advice from this article “News is bad for you – and giving up reading it will make you happier” by Rolf Dobelli and give up news for a year as an experiment. News has no explanatory power. News is toxic to your body. News works like a drug. Until then I want to keep up to date with how the Yes campaigns wants to dismantle my country.